Writing music for “Battlestar Galactica” and “Caprica,” I have set music to some incredible events in outer space. I’ve accompanied spaceships and nebulae, black holes and supernovas. However, these cosmic phenomena shared one thing in common: they were all fiction. 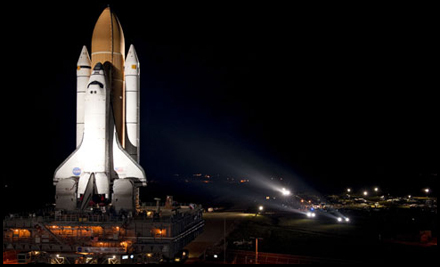 But, this week, I am deeply honored that my music will now provide an emotional backdrop for a space event that is very real indeed: the final NASA Shuttle Launch in United States history. My original composition, “Fanfare for STS-135,” will premiere this Friday morning (July 8th) at the NASA launch TweetUp event, and will also be heard by the crowds throughout the other locations at NASA’s Kennedy Space Center in Florida. If you aren’t among the lucky spectators, the fanfare may turn up on NASA TV and the official website as well. 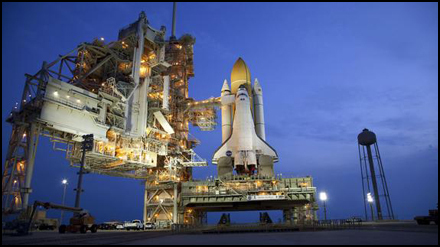 A downloadable recording of “Fanfare for STS-135″ is planned for the fall. Inspired specifically by this launch, the fanfare recording was produced by myself, actor / filmmaker Seth Green and director / writer Michael Dougherty. Seth and Michael’s enthusiasm and support was instrumental in bringing this piece to life. Making the musical leap from science fiction to science fact is truly humbling. I was thrilled for the opportunity to help honor the brave men and women who risk their lives to push the boundaries of human exploration. In particular, this composition is dedicated to the space shuttle Atlantis crew of Commander Chris Ferguson, pilot Doug Hurley, and mission specialists Sandy Magnus and Rex Walheim. 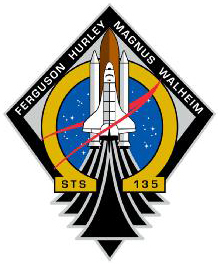 While STS-135 represents our final shuttle flight, it certainly does not signify the end of manned space travel or exploration of the cosmos. This mission is the end of one era and the dawn of the next. There is both celebration and reflection at hand. However, the trumpet soon gives way to soaring brass and strings, punctuated by pounding low brass and percussion. This is the musical equivalent of engines flaring and flames roaring; the emotional impact of lifting off and breaking free of the Earth’s gravity, following mankind’s inevitable destiny into the stars. I believe the future of humanity lies beyond our Earthly origins. While the end of the shuttle program may feel like a step away from that goal, I trust that both government programs and private enterprise will expand our horizons, as we careen ever upwards. This launch serves as an important marker in our history as a nation and as a species. I am deeply honored that “Fanfare for STS-135″ may contribute in some small way to the final shuttle launch in our nation’s history. 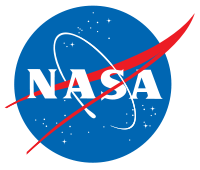 Working with scientists at NASA has been a thrill, though not an entirely new experience. I know many people in scientific fields, including some in my own family. My father, Jay McCreary, served on NASA’s Earth Science Subcommittee from 2005 to 2009. A well-known oceanographer, he represented his field in a group of external advisors consulting NASA about satellites that monitor the health of the planet. And my father-in-law, John Spencer, is the founder and president of The Space Tourism Society and works at the forefront of the burgeoning private space travel industry. I would like to thank everyone at NASA, in particular Bert Ulrich and Sarah Ramsey, as well as Michael Dougherty and Seth Green, for making this opportunity a reality. UPDATE: Seth Green uploaded a great video clip of the piece being played at the Tweetup Tent at the launch! Click here to watch and listen.